That is a half-truth. It is also a half-lie. What is nearer to the whole truth is that ISIL is but the latest progeny of the colonialist-driven Sykes-Picot agreement. In a pivotal scene in the 1962 David Lean film, Lawrence of Arabia, a British diplomat, Mr. Dryden, explains the Sykes-Picot agreement to Lawrence. The history of the Middle East from the day the Sykes-Picot agreement was signed, until the day the U.S. began bombing ISIS, is filled with lies and half-lies. It is certainly true that ISIL, whose armies now control large areas of Syria and Iraq, is a movement that employs gruesome beheadings and mass killings of civilians to evoke precisely the response it is receiving from the West. Nor is Homeland Security Secretary Johnson alone in following the script employed in the current conflict by the national media, politicians and government officials who describe the bombing campaign which President Obama says will “degrade and destroy” ISIS (also known as IS). There is much more, however, to the current conflict in Syria and Iraq than name-calling. All of the events leading up to this moment in history is a series of lies and half-lies, including President George W. Bush’s decision to attack Iraq in 2003. The current conflict between the U.S. and its allies is a conflict that can only be understood by a look back to the Sykes-Picot Agreement, the 1916 document that allowed Great Britain and France to carve up the Ottoman Empire for their own selfish colonial purposes. Islamic scholar Jeffrey Kaplan, writing for the Martin Marty Center Sightings, September 25, takes note of the connection between the ISIS movement and the Sykes-Picot agreement. The sudden and rapid expansion of IS is steeped in the history of the Islamic world. In the Islamic worldview, the distant past is but yesterday and the future Golden Age exists today. One need only institute sharia to realize a perfect world since sharia is timeless and inerrant. President Obama’s decision to confront the Islamic State is the ultimate confirmation of God’s favor. IS has for some time invited the United States to battle with them directly in full confidence that, God willing, the Americans will be no more successful in fighting the Islamic State than they were in Vietnam, Afghanistan, Iraq, Lebanon, Libya, and indeed anywhere else it has deployed its forces since World War II. The modern state of Israel looks back to a biblical promise, and more recently to another British-authored document, the Balfour declaration, to justify its creation as a state on what had been Palestinian land. Rami G. Khouri, veteran Palestinian journalist, and a columnist for Beirut’s Daily Star, sees Prime Minister Benjamin Netanyahu’s UN General Assembly speech as both an Israeli interpretation of history and a misreading of how the rest of the world sees Netanyahu’s use of that history. Israeli Prime Minister Benjamin Netanyahu’s address to the U.N. General Assembly Monday may go down as a sign of how badly out of touch he is with the rest of the world; and of how the traditional Zionist use of scare tactics to maintain virtually absolute American support for any Israeli action is wearing thin. Netanyahu’s two principal points were that Hamas, Iran and ISIS come from the same roots and have similarly dangerous and predatory global aims; and that it is foolhardy for the United States and other Western powers to negotiate an agreement with Iran over nuclear issues leading to a lifting of sanctions. All of the basic points Netanyahu made were factually wrong. Consequently, because he has repeated them so many times without offering any proof beyond his own deep frowns and wild exaggerations, these points do not gain traction among the American public. They have also created the greatest strains in top-level U.S.-Israeli relations for generations. The accusation that Hamas and ISIS are two branches of the same tree is palpable nonsense. The only thing they have in common is that they draw on Islamic doctrine and values as their guiding principles – in the same way that all recent American presidents and some weird Texan cults have all based their actions on Biblical texts and values. In both cases, though, each group interprets the religious text in very different ways, leading to very different actions that are worlds apart. The repeated mistake Netanyahu makes – or perhaps it is a deliberate lie – is to see any movement or rhetoric in the Middle East that references Islamic values as a dangerous threat. Indeed, Iran, Hamas and ISIS all claim to act on the basis of religious principles, even dictates, but they operate in three very different universes that Netanyahu conflates into one. Hamas is a resistance movement that was born in the 1980s primarily to fight against the Israeli occupation of Palestinian lands. Iran is a strong and proud country, heir to an ancient civilization, that lingers under the fading influence of its 1979 revolution, but mostly is powered by a determination not to bend to Western colonial manipulation and threats anchored in double standards. ISIS is a violent, cult-like movement that emerged in recent years from the post-1990s legacy of Al-Qaeda, reflecting a fringe micro-minority of Muslims reacting to the despicable way they have been treated for decades by their own power structures and invading foreign armies – American, British, Soviet and others. Which brings us to the Sykes-Picot agreement, remembered by ISIS, but largely forgotten by the western world. On May 19, 1916, representatives of Great Britain and France secretly reached an accord, now referred to as the Sykes-Picot agreement. Under that agreement, made with no consultation with Arab tribal leaders, most of the Arab lands under the rule of the Ottoman Empire were divided among the British and French “spheres of influence”. “Under Sykes-Picot, the Syrian coast and much of modern-day Lebanon went to France; Britain would take direct control over central and southern Mesopotamia, around the Baghdad and Basra provinces. Palestine would have an international administration, as other Christian powers, namely Russia, held an interest in this region. In one of those quirks of history, exactly 19 years later to the day, after Sykes-Picot was signed, on May 19, 1935, T.E. Lawrence, known to the world as Lawrence of Arabia, died as a retired Royal Air Force mechanic living under an assumed name. The legendary war hero, author, and archaeological scholar succumbed to injuries suffered in a motorcycle accident six days before his death. 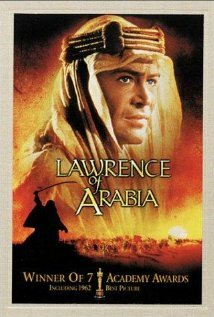 David Lean’s film, Lawrence of Arabia, describes the cinematic moment in Lawrence’s life, when he hears a description of the Sykes-Picot agreement. In the film, Lawrence has come to the office of British General Edmund Allenby, to resign his officer’s commission. When he arrives, he finds two other men with Allenby, Prince Feisal ibn Ḥussein, who would later serve as king of the Arab Kingdom of Greater Syria in 1920, and as king of Iraq from 1921 to 1933. Lawrence had led Arab troops on behalf of Prince Feisal, against the Turkish army. The second man with General Allenby is Mr. Dryden, a British diplomat . Below is the clip from Lawrence of Arabia, followed by the script reproduced from the scene. PRINCE FEISAL: Well, general, I will leave you. Major Lawrence doubtless has reports to make……about my people and their weakness…..and the need to keep them in the British interest. And the French interest too. We must not forget the French. GENERAL ALLENBY: I told you, no such treaty exists. FEISAL; Yes, general, you have lied most bravely, but not convincingly. I know this treaty does exist. FEISAL: He does it better than you, general. But then, of course, he is almost an Arab. DRYDEN: (Staring at Lawrence) You really don’t know? LAWRENCE; It’s my request for release from Arabia, sir. ALLENBY; Why? Are you sure you haven’t heard of the Sykes-Picot Treaty? LAWRENCE; No. I can guess. ALLENBY- Don’t guess. (points to Dryden) Tell him. DRYDEN: (Speaking slowly as walks around the room), pausing after sentences) Well, now., . . Mr. Sykes is a English civil servant. Monsieur Picot ia French civil servant. Mr. Sykes and Monsieur Picot met, and they agreed that after the war……France and England should share the Turkish Empire, Including Arabia. They signed an agreement, (looking at Allenby) not a treaty, An agreement to that effect. LAWRENCE: (glaring at Dryden) There may be honour among thieves, but there’s none in politicians. DRYDEN: And let’s have no displays of indignation. You may not have known, but you certainly had suspicions. (pauses). If we’ve told lies you’ve told half-lies. And a man who tells lies, like me, merely hides the truth. But a man who tells half-lies has forgotten where he put it. The bombing campaign against ISIS may be able to slow down the spread of the ISIS forces, but in the long run, it will have to be diplomatic agreements which will restore some balance to the nations of the Middle East. The diplomatic maneuvering will have to acknowledge that the political tide in the region is turning in the direction of positive achievements. It is a lie to link Hamas, Iran and ISIS. Our western political leaders and their diplomatic negotiators must recognize that, in Khouri’s phrase, the linkage is “palpable nonsense”. Khouri is optimistic about the future of his Middle East neighbors and his native Palestine. He sees the positive force of Islam prevailing over those who, like Netanyahu, would misrepresent the Islamic religious tradition. It is telling that Al-Qaeda and, more recently, ISIS have tried repeatedly to harness mass support among Arab public opinion, but always without success. The masses of Arabs who are discontented with their socio-economic or political conditions and look to their faith for succor, hope and strength, chronically reject the cults of death, destruction and terrorism that ISIS and Al-Qaeda represent; instead they support the nationalist-, resistance- and community-based strategies of groups such as the Muslim Brotherhood, Hamas, Hezbollah and others of this kind. That sounds like a formula T. E. Lawrence might have fully embraced. Thanks, Jim, for pointing out the context of deception! The sting of Sykes-Pecot was of course in its intentional double-cross, as the Western powers had promised freedom and self-determination in return for Arab enlistment in the alliance to overthrow the Ottoman empire. And despite Netanyahu’s omni-present prevarications, ISIS most closely resembles the Haganah, the Stern Gang and the eintire Zionist network of terror in its conquest of Palestine–public massacres, parading naked bodies of the victims through towns and countryside to inflict fear throughout the land, then looting and taking over entire cities and towns. “Although I have served as an orthopaedic and trauma surgeon and thus was used to amputating limbs, I have shrunk from ‘videos’ allegedly reporting decapitation in Syria where HMG has been supporting terrorist actions against the sovereign government there. However, because this terrible death of Foley was being given the full ‘megawattage’, I viewed it after my sister had sent me the link. I watched it several times, bracing myself as the knife was drawn across the young American’s neck. The outrageous repugnant barbaric crimes committed were specifically designed to garner greater public support for more wars for Israel.